As a young teenager I would scroll my way through Pinterest and pin all the beautiful places I planned to eventually visit and see with my own eyes. One of those pins was the Adventure Skylodge Suites. To describe it, it’s a transparent capsule that hangs from a cliff in the Sacred Valley of Cuzco, Peru. Each suite (there’s 3 of them) can hold up to 8 people, comes with four comfy beds, a dinning area and a private bathroom. The capsule itself is constructed out of aerospace aluminum and weather resistant poly-carbonate. 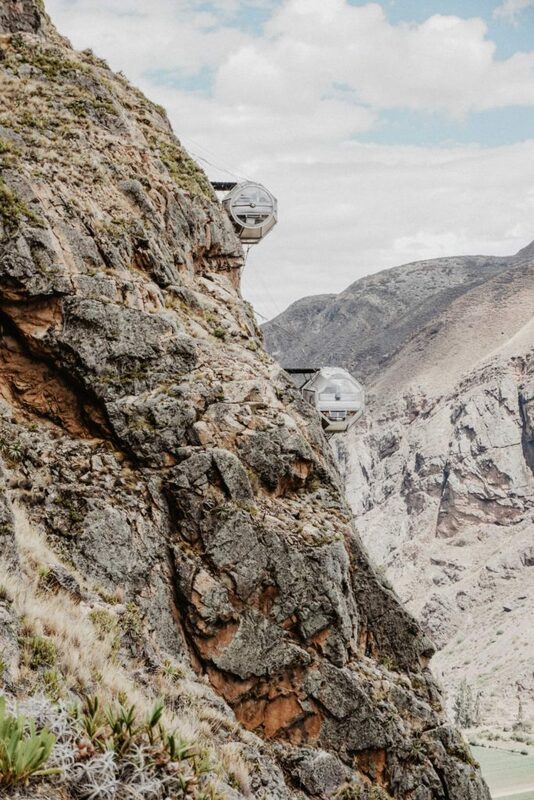 From within the Skylodge capsule you are able to get a 300 degree view of the Sacred Valley.